The holidays can be stressful for health-conscious individuals. Beginning with Halloween and continuing through Thanksgiving and the December holidays, each occasion has its food temptations. Many of these can be emotionally fraught as well; no amount of explaining that you’re trying to lose weight, avoid dairy or cut back on sugar is going to remove the sting of you refusing your mother-in-law’s famous pumpkin gingerbread cheesecake. People tend to do one of two things when it comes to facing all this holiday temptation: become overly rigid and filled with anxiety at holiday gatherings where food is involved, or go completely off-plan and eat whatever comes in range for a couple of months regardless of how it makes them feel physically. I’d like to suggest a middle path: giving yourself permission to deviate from the norm. What does that mean? Well, it depends on what your “norm” happens to be. If your norm is to become rigid, refuse even a bite of your mother-in-law’s pumpkin cheesecake, joylessly turn your nose up at the plethora of holiday delicacies before you while virtuously nibbling on a carrot stick and giving yourself an ulcer over the constant refusal to try “just a bite”, my advice to you is: relax! If the food on offer won’t actually kill you or make you incredibly sick (i.e., in the absence of food allergies or extreme food sensitivities), is there any real harm in taking just a bite of your mother-in-law’s pride and joy pumpkin cheesecake or your niece’s famous sticky toffee pudding? Can you fill your plate with foods that fit more closely with how you eat on a daily basis (maybe make/bring these dishes yourself) and take little tastes of a few other dishes in which the cooks have a lot of emotional investment? In a perfect world, everyone important to you would understand why you eat the way you do and respect that, or at the very least they’d have no emotional attachment to how you eat. But we don’t live in a perfect world. Most of us live in a world full of people who express love through food. I’m not suggesting you completely abandon your convictions, insert a noodle where your spine used to be and capitulate to every individual culinary whim in a gathering of two-dozen friends and family, I’m just suggesting you weigh the cost of taking that bite against the cost of not taking that bite and make the decision that works for you, not just in terms of your diet, but in terms of your relationships and your anxiety level. 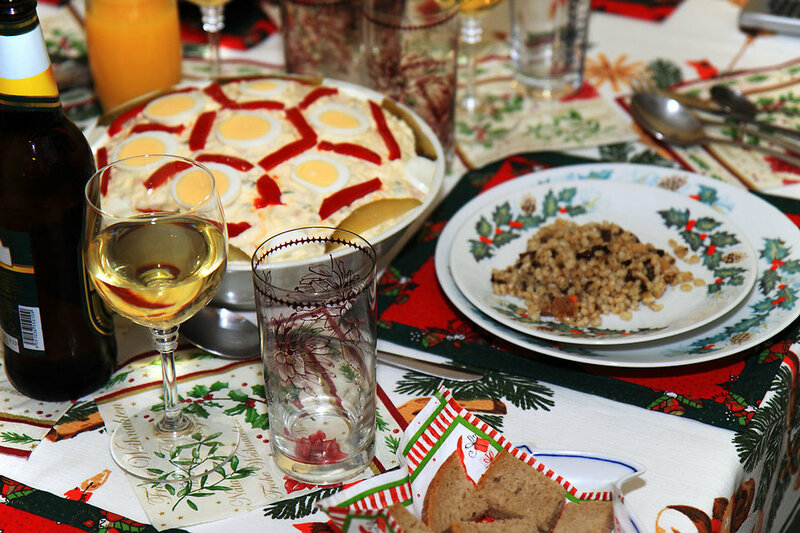 If giving yourself permission to loosen the reins just a tiny bit (again, while not compromising your overall health) helps you sail through holiday gatherings with less anxiety, by all means, do that. It’s okay. If your norm is to go wild, throw your usual eating pattern out the window and indulge in mass quantities of sugar and trans fats for six or eight weeks until you’re completely kugel-wasted and physically miserable, I’d like to suggest a similar approach to the above: relax! It doesn’t have to be all-or-nothing. You don’t have to eat an entire plate of kugel. You can have just a bite or two and make your grandmother happy. If leftovers get sent home with you, you don’t have to eat them! You can give yourself permission to set aside a small taste to enjoy later and then throw the rest away. That’s right: you can throw leftovers away. You don’t have to eat them. I know the idea of that makes many people uncomfortable, especially those of us who were raised with the spectre of starving children in developing countries. To our parents and grandparents, throwing away food was the basest of sin (not to be confused with the bassist of sin, which of course is Geezer Butler). But here’s the thing: if the item you’re throwing away is a nutrient-deficient amalgamation of stripped/milled grains, sugar, oxidized fats, chemicals, and other ingredients that do not support health in you or anyone else, does it really count as food? When you cut coupons or helpful articles out of the newspaper (this is a thing we oldsters used to do before smart phones, just go with me here), do you feel any qualms about chucking the rest of the paper into the recycling bin? No. You got what you wanted out of it, and you don’t need the rest of it. The newspaper can’t feel pain or rejection. The same is true of all that edible stuff we collectively refer to as “food”. If you look forward all year to your grandmother’s kugel, your mother-in-law’s pumpkin gingerbread cheesecake or the peanut butter nougats your son discards from his Halloween candy stash, if the taste of those foods are integral to your holiday experience, if family bonds will be damaged by your refusal to eat them, if a taste or two won’t actually make you sick, then have a taste and throw the rest away. You got what you wanted from it, whether it be warm fuzzies on your part or the part of someone you love, and you don’t need the rest. Make a donation to a hunger relief agency for every container you toss, if that helps you part with it, but get rid of it. Keeping and eating it won’t do you or anyone else any good. 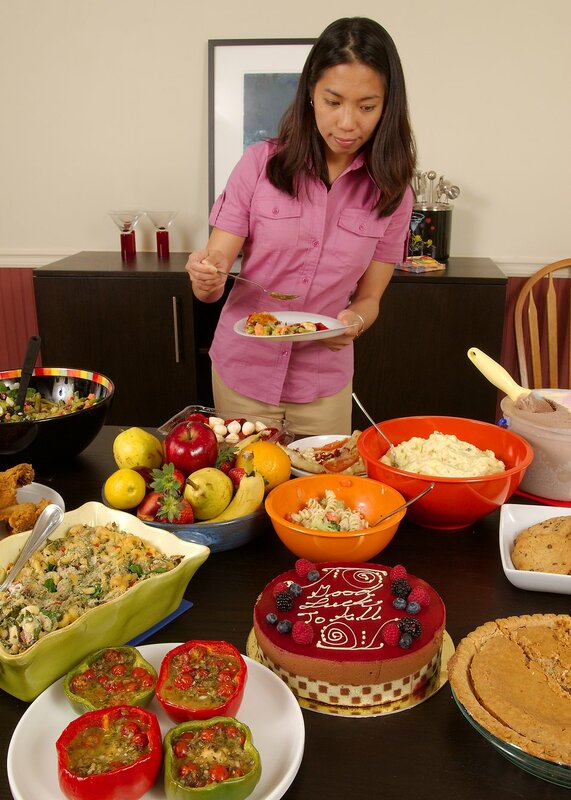 If you’re having trouble deciding which holiday dishes to fill up on and which to taste and toss, ask yourself: will my health be better served if I eat more of this? If not, taste it and toss the rest away. Most of all, give yourself a break this holiday season. Look after your health. Eat more of what makes you feel good, and eat less of what makes you feel bad. Give yourself permission to break out of old patterns and settle into new ones that better support your health, both physically and emotionally. That will allow you to greet the new year with a renewed commitment to your own well-being rather than greeting it with an extra 20 pounds and a handful of damaged relationships. Should you take a cheat day? As a nutrition and wellness coach, when I say I don’t believe in cheat days I immediately paint myself as a hard-nosed, toe-the-line, no-deviation-from-the-script ascetic. But that’s actually the opposite of my philosophy. Let me explain. One of the reasons I don’t believe in cheat days is that I don’t believe in restrictive diets, either. I don’t believe in starvation or deprivation. That’s not how you heal the body. The reason we need food to live is that we break down everything that enters our digestive systems into smaller bits that our bodies need to function. We use food to build and repair tissue, synthesize vitamins and hormones, remove toxins, keep our organs functioning — pretty much everything the body needs to do, it needs food in order to do it. Food isn’t just there to fill up our stomachs and keep us from feeling hunger. Food literally builds our bodies. Different foods work for different people because we’re all so unique, inside and out. Your genetics, the composition of your gut microbiome, your external environment and whatever toxins and irritants exist there — all of these things affect how your individual body breaks down food and what it does with those smaller parts. A large part of my coaching practice is helping people figure out what foods work for their individual bodies. What foods support health for you? What foods make you feel and look amazing? What foods give you glowing skin, boundless energy, sound sleep, balanced moods, untroubled digestion, painless movement throughout your day? Conversely, which foods make you feel awful? Which foods cause skin rashes and breakouts, digestive distress, insomnia, anxiety, depression, headaches, muscle aches, joint pain and fatigue? Barring an allergy or some other medical condition like diabetes or celiac, there are no good or bad foods. There are foods that make you feel good and foods that make you feel bad. There’s no such thing as “cheating” when you’re eating this way. There’s no stress over worrying whether a particular food is vegan or paleo or low-carb or detox-approved or otherwise on your “diet”. Everything you put into your mouth is a choice, or in some cases an experiment: how will this food make me feel? The answer to that question matters more than any diet dogma. Love yourself. Forgive yourself. Nourish yourself. Don’t cheat yourself. Late spring allergies/cold got you down? 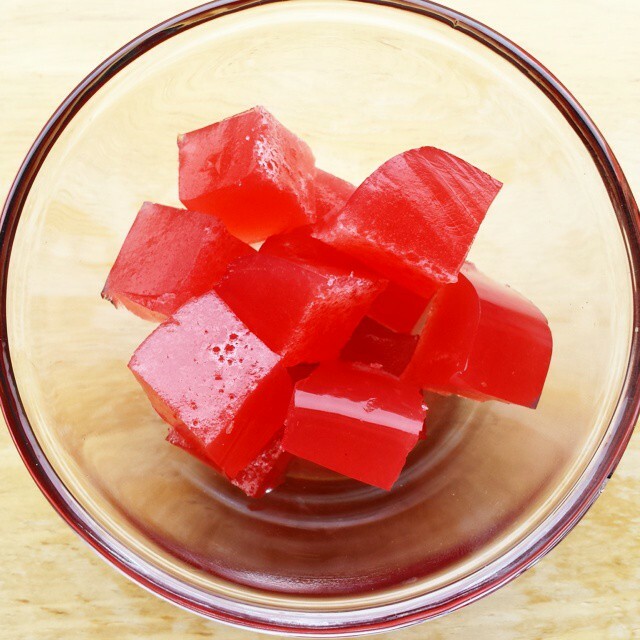 With gut-healing gelatin, immunity-building echinacea and a hit of natural vitamin C, these bright little stevia-sweetened bites are good for what ails you! Gently re-heat tea to just below boiling if needed and whisk in gelatin until dissolved. Pulse lemon juice and raspberries in a blender or food processor until raspberries have liquified, then push through a mesh strainer (discarding seeds and pulp) into a small bowl. Add stevia to taste. Add gelatin mixture and whisk until blended. Pour into molds or a glass dish and chill for at least 1 hour or until set. 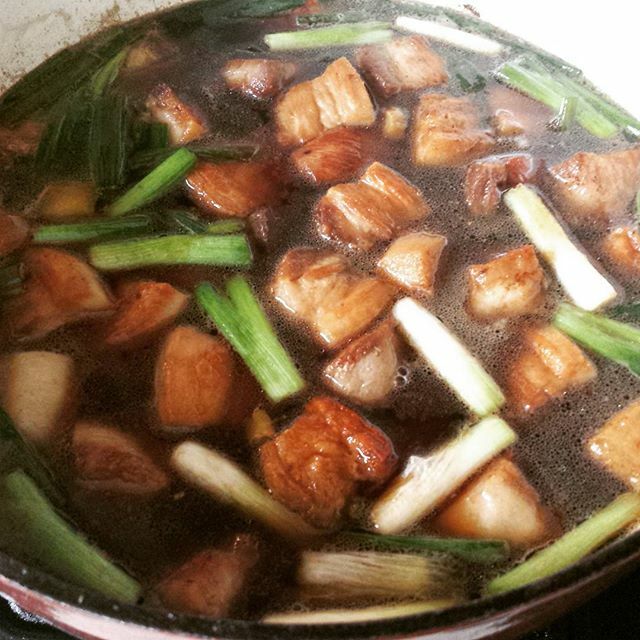 Then unmold, cut into cubes and store in an airtight container in the refrigerator for up to 1 week. Can you spot the whole grain in this photo? There seems to be a lot of confusion over what constitutes a “whole grain”. I’m not sure why as it’s really pretty simple. A whole grain not only contains the inner germ, the middle endosperm layer and the outer bran, it’s also … well, whole. You can see it with your eyes. You can feel it with your hands. It looks like a grain. It has defined edges. A lot of processed foods like to splash “Made with 100% whole grain!” all over their packaging but if the grain has been milled into flour to make that product, it’s no longer a whole grain. It’s flour. The cell walls have been broken, the fats have been oxidized and a lot of the nutrient content has been lost. You’re no longer getting the benefits, however small, of consuming whole grains. 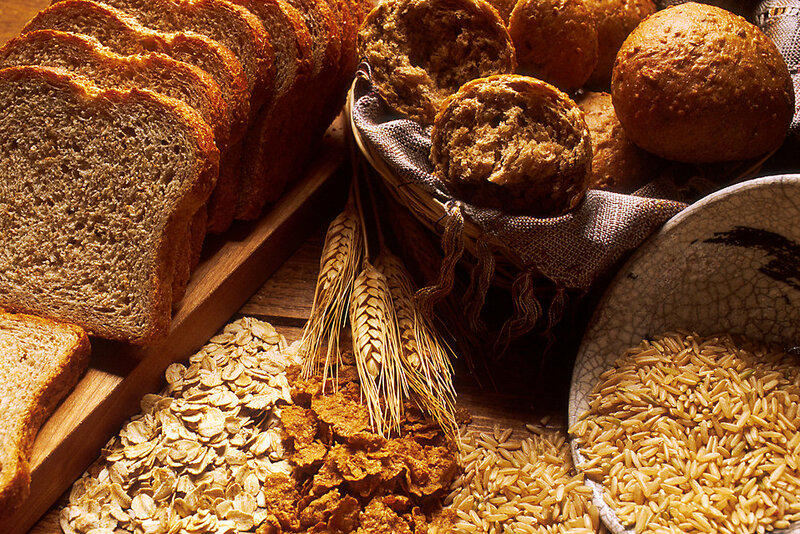 As far as those benefits go, whole grains do contain fiber, B vitamins, small amounts of protein and some healthy fats. But the truth is, if you’re eating a variety of fresh vegetables, leafy greens, seafood, nuts and meats, particularly organ meats, you’re already getting everything that whole grains have to offer from a nutritional standpoint. And you’re getting far fewer insulin-spiking carbohydrates. Whole grains do add a nutty flavor and chewy texture to meals, and they also can help stretch higher quality ingredients over a greater number of servings. Just keep in mind that the nutritional content compared to the foods listed above is relatively low and that the carbohydrate content is quite high. If you do choose to eat whole grains, I highly recommend eating TRULY whole grains and entirely avoiding products made from grain flour. The Whole Grains Council has a handy guide to cooking a huge variety of grains in their whole, unprocessed form. It’s also a good idea to soak, ferment and/or sprout your grains before cooking to aid digestion. And if you choose not to include grains in your diet? As long as you’re eating a variety of fresh, unprocessed plant and animal foods, you’re not missing a thing. Human beings are creatures of habit. No matter how spontaneous and full of surprises some of us may like our lives to be, we all have touchstones that ground us, bring us back to ourselves and give us a sense of belonging. Beginning and ending the day with routines and rituals can be a great way to manage anxiety, disconnect from the hamster wheel in your brain and remind yourself that you are part of something immense, beautiful and important. Here are some ideas for morning and evening rituals. You can chose one or all or come up with your own ideas to bookend your day with a sense of purpose, peace and gratitude. Focus on the physical. Instead of jolting awake with a sense of urgency over your impending to-do list, take a moment first thing upon waking to focus instead on physical sensations. The weight of your body on the mattress, the feel of the sheets/blanket against your skin, the gentle rise and fall of your breath, the light coming in the window, birdsong or traffic from outside — focusing on these sensations instead of the story in your head about all you have to do for the next 16 hours can bring a sense of calm. You may notice things about your environment that you never noticed before. Feed your soul. Whether the Bible, the Tao Te Ching or simply a favorite poem, inspirational words followed by prayer, meditation or contemplation can create a sacred space in which to begin your day and remind you that you are loved, you are worthy, and you are part of all the tremendous beauty in the world. Move gently. Sun salutations, gentle stretches, a stroll around the yard while the dog performs his/her own morning ritual — all of these things can help to gently wake the body and get it ready to perform. Whether you’re facing an hour-long commute or you intend to knock out a five-mile jog before the kids wake up, beginning with gentle movements will help prepare your body for what’s to come. Warm your belly. Before reaching for that cup of coffee or tea, try priming your body for digestion with a cup of warm water and lemon, ginger, mint or other herbs. In addition to refreshing the mouth and warming the belly, this will gently awaken your tastebuds, get saliva production started and alert your digestive enzymes that nourishment is at hand. Cleanse mindfully. Many cultures and spiritual practices use cleansing rituals to prepare for important ceremonies. You can do a mini version of this every day. Brush your hair and give yourself a gentle scalp massage with the pads of your fingertips before shampooing, use a dry-brush technique on your body before showering, rub a bit of coconut oil into your skin after bathing to soften and seal in moisture. So often we feel disconnected from our bodies because we believe they’ve let us down, or we’ve let them down. Mindfully and gently cleansing yourself can help you reconnect with your amazing vessel and learn to treat it with kindness, appreciation and gratitude. Let the music play. As you transition from gentle waking to the more active part of your day, music can be a terrific mood-setting and productivity tool. Fire up your own motivational playlist or use one from a streaming service such as Songza, Spotify, Pandora or Amazon Prime Music. Sing, dance and get your body moving and your mind ready to Do. This. Thing. Block it out. While turning off electronics completely at least an hour or two before retiring is a great idea, it can lead to anxiety and feelings of isolation for many people. At the very least, take measures to keep blue light from computer, tablet and phone screens from interfering with your body’s attempts to move into sleep mode by installing an app that blocks blue light. An app called f.lux is a great option for Windows, Mac, Linux, iPhone and iPad. Android tablets and phones can use Twilight. These apps are highly customizable and use your geographical location to begin dimming and warming the light from your screen as the sun sets. Write it down. All those things you’re keeping in your head, all those tasks that went unfinished today and will have to be completed tomorrow, all that correspondence that needs to be tackled at the start of your workday — Write. It. Down. Put it on paper and get it out of your head. If those thoughts drift back in while you’re winding down for the day, remind yourself that it’s all written out for you to deal with tomorrow. It will keep until then. If thoughts of the day ahead wake you during the night, keep a small notebook and pen near your bedside and write these thoughts down as they come. Once they’re on paper, let them pass from your mind. If you can’t let go of the nagging thought that you’ve forgotten something, write THAT down: “I think I’ve forgotten something.” The very act of getting that down on paper will either jog your memory or give you a sense of having acknowledged it so that you can clear your mind for relaxation and sleep. Reverse it. A simple way to ritually close out your day is to do your morning routine/ritual in reverse. Soothing music, a gentle soak in epsom salts and lavender oil to relax your body (or other mindful bodycare rituals such as a gentle oil cleanse to remove makeup, a foot and leg massage with coconut oil, etc. ), a cup of relaxing herbal tea (at least two hours before bedtime if your bladder wakes you during the night), extremely gentle stretches or yoga poses (savasana, anyone?) to relax your muscles, devotional readings, meditations and/or prayers of gratitude, and finally relaxing into the physical sensations of the nighttime world and your cozy bed — your weight on the mattress and pillow, the sheets against your skin, the warmth of your breath through your nostrils, the lullaby of owls and crickets or the murmur of tires on asphalt. Give yourself over to whatever morning and evening rituals work for you. You may find that you sleep better at night and are more productive during the day knowing that you have these comforting touchstones to return to at every sunrise and sunset!